Chicago Funeral Florist is family owned floral design studio. We offer beautiful time tested traditional and unique, modern designs for the immediate family, close relatives, friends and business associates. We have experience in providing funeral flower arrangements and are able to create and theme a unique floral tribute based on the life of your loved one and offer excellent advice and guidance as to what flowers and arrangements will be most suitable. Our floral deliveries are prompt, handled with care and professionally presented.We are flexible in the delivery of your flowers and sensitive to the needs of the situation in terms of when, where and how the delivery will take place. As a family owned and operated professional florist we guarantee your satisfaction on every flower order you send. All of the designs are our own creations, it's always fresh and beautiful! Fresh, Hand-Arranged Funeral & Sympathy Flowers in Chicago and Suburbs from Chicago FuneralFlorist. 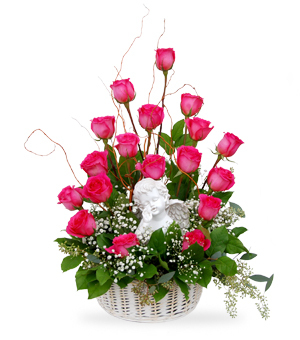 At a time of loss send your condolences with Sympathy Vase Arrangements, Sympathy Baskets and our Funeral Standing Sprays, Funeral Wreaths, Funeral Baskets, Casket Sprays to Cemeteries, Funeral Homes And Mortuaries. We deliver to all areas in Chicago, Cook County, Du Page, Lake County Will County, Illinois. Your best local Chicago funeral florist . Addison, Aledo, Algonquin, Alsip, Alton, Anna, Antioch, Arlington Heights, Aurora, Barrington, Bartlett, Batavia, Beardstown, Belleville, Bellwood, Belvidere, Bensenville, Benton, Berwyn, Bethalto, Bloomingdale, Bloomington, Blue Island, Bolingbrook, Bourbonnais, Bradley, Breese, Bridgeview, Broadview, Brookfield, Buffalo Grove, Burbank, Burr Ridge, Calumet City, Canton, Carbondale, Carlinville, Carlyle, Carmi, Carol Stream, Carpentersville, Carterville, Carthage, Cary, Centralia, Champaign, Charleston, Chatham, Chester, Chicago, Chicago Heights, Chicago Ridge, Chillicothe, Cicero, Clarendon Hills, Clinton, Collinsville, Columbia, Country Club Hills, Crete, Crystal Lake, Danville, Darien, Decatur, Deerfield, Dekalb, Des Plaines, Dixon, Dolton, Downers Grove, Du Quoin, Dundee, East Alton, East Moline, East Peoria, East Saint Louis, Edwardsville, Effingham, Elburn, Elgin, Elk Grove Village, Elmhurst, Elmwood Park, Eureka, Evanston, Evergreen Park, Fairfield, Fairview Heights, Flora, Flossmoor, Forest Park, Fox Lake, Frankfort, Franklin Park, Freeport, Galena, Galesburg, Geneseo, Geneva, Glen Carbon, Glen Ellyn, Glencoe, Glendale Heights, Glenview, Godfrey, Granite City, Grayslake, Greenville, Gurnee, Harrisburg, Harvard, Harvey, Havana, Hazel Crest, Herrin, Hickory Hills, Highland, Highland Park, Hillsboro, Hillside, Hinsdale, Homewood, Hoopeston, Huntley, Itasca, Jacksonville, Jerseyville, Joliet, Kankakee, Kewanee, La Grange, La Grange Park, La Salle, Lake Bluff, Lake Forest, Lake In the Hills, Lake Villa, Lake Zurich, Lansing, Lemont, Libertyville, Lincoln, Lincolnshire, Lincolnwood, Lisle, Litchfield, Lockport, Lombard, Loves Park, Lyons, MacHesney Park, MacOmb, Mahomet, Marengo, Marion, Marseilles, Marshall, Matteson, Mattoon, Maywood, Mc Leansboro, McHenry, Melrose Park, Mendota, Metamora, Metropolis, Midlothian, Milan, Mokena, Moline, Monee, Monmouth, Montgomery, Monticello, Morris, Morrison, Morton, Morton Grove, Mount Carmel, Mount Prospect, Mount Vernon, Mundelein, Murphysboro, Naperville, Nashville, New Lenox, Newton, Niles, Norridge, Normal, North Aurora, North Chicago, Northbrook, O Fallon, Oak Brook, Oak Forest, Oak Lawn, Oak Park, Olney, Olympia Fields, Oregon, Orland Park, Oswego, Ottawa, Palatine, Palos Heights, Palos Hills, Palos Park, Pana, Paris, Park Forest, Park Ridge, Pekin, Peoria, Peru, Petersburg, Pinckneyville, Pittsfield, Plainfield, Plano, Pontiac, Princeton, Prospect Heights, Quincy, Rantoul, Red Bud, River Forest, River Grove, Riverdale, Riverside, Robinson, Rochelle, Rock Falls, Rock Island, Rockford, Rolling Meadows, Romeoville, Roscoe, Roselle, Round Lake, Rushville, Saint Charles, Salem, Sandwich, Savanna, Schaumburg, Schiller Park, Shelbyville, Silvis, Skokie, South Beloit, South Elgin, South Holland, Sparta, Spring Grove, Springfield, Sterling, Stickney, Streamwood, Streator, Sullivan, Summit Argo, Sumner, Sycamore, Taylorville, Tinley Park, Troy, Tuscola, Urbana, Vandalia, Vernon Hills, Villa Park, Warrenville, Washington, Waterloo, Watseka, Wauconda, Waukegan, West Chicago, West Frankfort, Westchester, Western Springs, Westmont, Wheaton, Wheeling, Wilmette, Wilmington, Winfield, Winnetka, Wood Dale, Wood River, Woodridge, Woodstock, Worth, Yorkville, Zion.